Want to add a special finishing touch to your priestess or witch costume? Look no further since this scarlet red cape is going to get the job done one way or another. Introducing the Cursed Scarlet Red Cape. With its color and design, your whole new outfit will receive and elegant and perhaps, sophisticated upgrade. 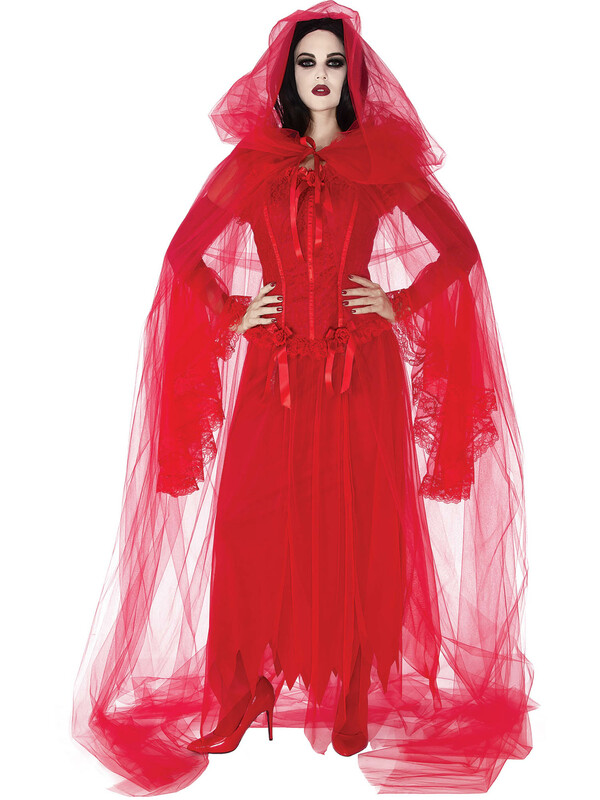 Walk down the streets on Halloween night as you don this cape over your costume, and become the character you were hoping to become for the spooky holiday. But even if you don't want to be a witch or a sorceress, this cape will make your Little Red Riding Hood costume that much more elegant and gorgeous! The cape comes with a hood.